I wanted to take part in this theme day, AND fill a request.. Brian Gaskill in the red Angel uniform (dunno if I got the right one though.. as he had a couple). 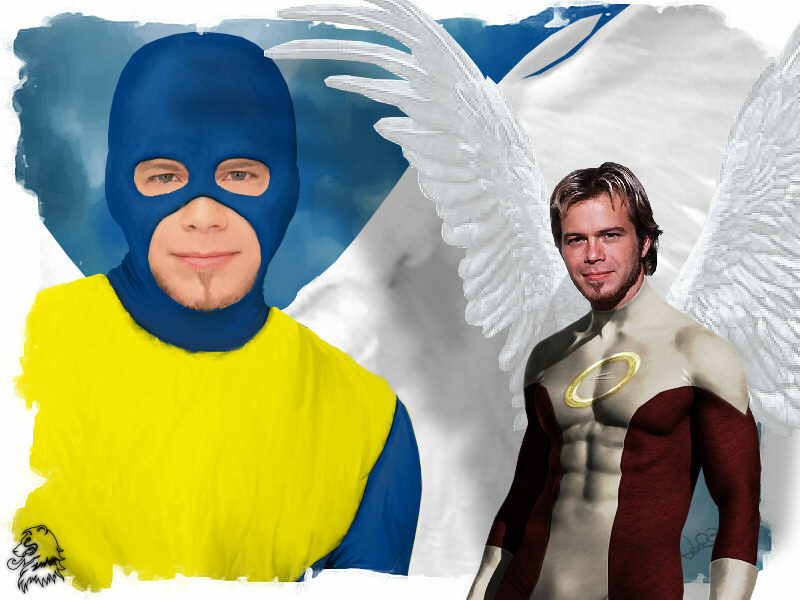 So here we see Angel admiring a painting of himself in his original X-Men uniform. The red uniform is a recolor of the previous blue uniformed Archangel I previously submitted. The wings have been desaturated and brightened. 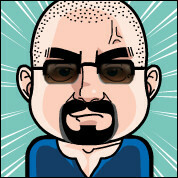 The background pic was painted using my wacom tablet over another image of Brian. Everything is new other than the eyes and mouth area. Tried to give a cloudy sky impression in the background. Added a perspective shadow on the wall from the front Angel. 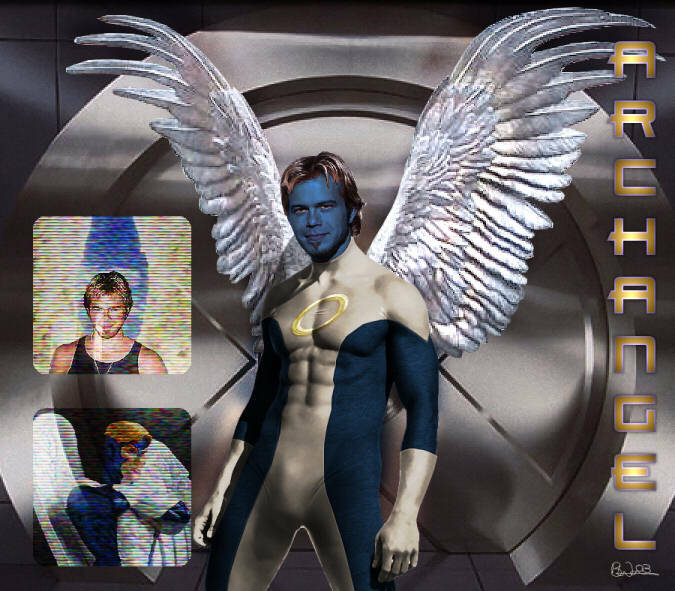 Keeping with the tradition of a new blue person in each movie.. hehe.. not really.. We had a request to see Brian Gaskill as Archangel, So here it is my own take. 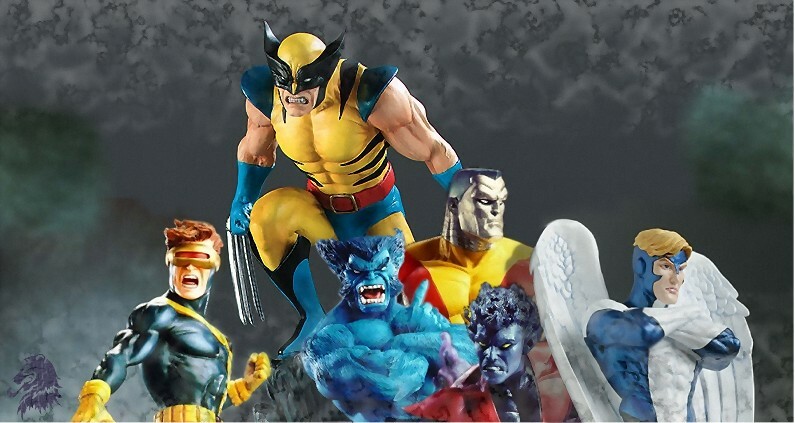 Costuming from scratch using the usual techniques, background from xmen, a pic of an Angel Bust, and a smaller unfinished Brian Gaskill/Angel manip as screen type box outs. Body donor was Antonio Sabato. Tried to give the wings a metallic look but not sure if it really pays off. Just a quick piece I threw together one slow saturday morning. This started out as a cover preview I saw over on CBR ( for Lucifer #40). The minute I saw it I thought.. hmmm thats Angel that is. First thing I did was color the hair. Then using masked overlay layers I added the Apocalypse Bust (Bowen), and a couple of trading card pictures from the net. 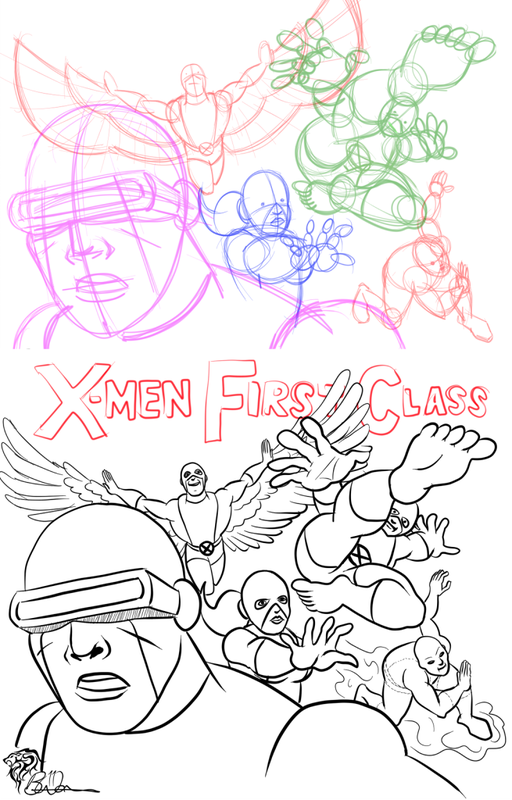 These were all smudged to match the painted style of the original base pic. Lightning added using dodge and overlay layers. To add more interest, there are a couple of overlayed textures hopefully making it look like a mural painted on tiles. The border mask is from PSP frames. 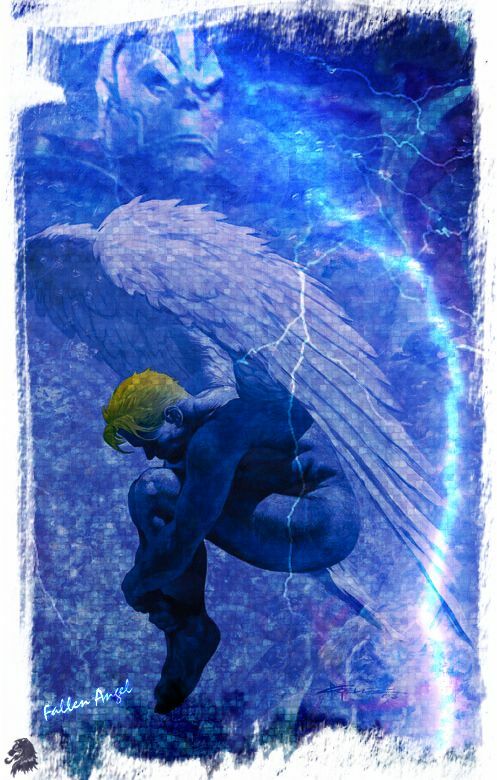 This is the follow up to my Angel Introspective manip using model Marcus Schenkenberg as Warren Worthington III (while still in his post Apocalypse blue phase). Starting with the previous manip (minus the ornaments), the first thing i needed to do was recolour the skin to a more natural tone. After a few failed attempts, i found that by selecting the blue skin area, promoting it to a new layer, making it negative, and setting the blend mode to colour, i got a nice tanned look. I cut away the areas of the new ‘skin’ where i still wanted the tshirt to be blue but i found it was too washed out. so i again selected the blue skin promoted it to a new layer and set the blend mode to multiply to get a richer blue. A similar process was done to create the white central strip. The halo was done using the vector tool and highlighted and shaded manually. The collar and sleeve edging was also done using the vector tool. wrinkles on the tight tshirt body and sleeves drawn as small Vs, then smudged to give a nice feel. The tshirt still looked a bit flat, so i had a look through some of my textures and found a nice one called fauxsuede that i applied over the top on a soft light layer. The background buildings are simply lots and lots of gradient filled boxes layered on top of each other. The car i used is the Pagani Zonda, again on a soft light layer. Between the wings I added a magazine scan i downloaded from the net of Angel in costume but still with his long blond hair to match my image. Time for a quick manip. 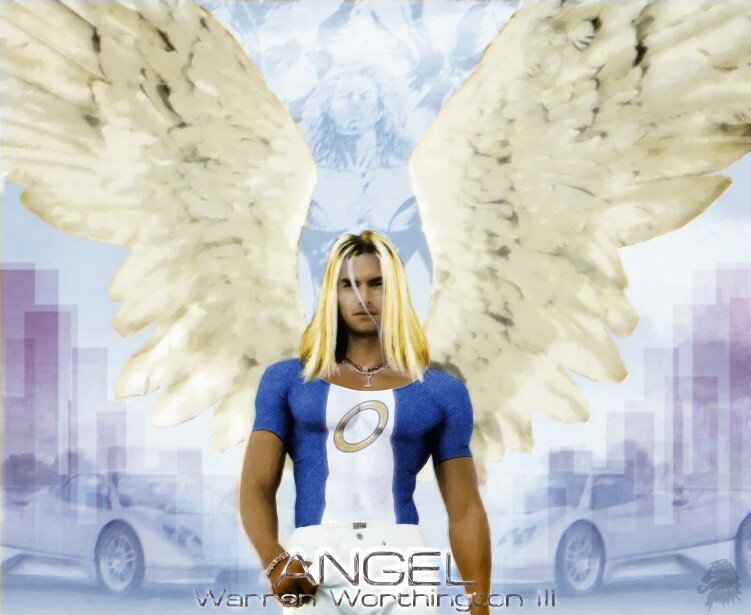 Here is model Marcus Schenkenberg as Warren Worthington III (while still in his post Apocalypse blue phase – but with regrown natural wings). It was created from two pics of Marcus, a small grainy one i found of him sitting in a very orange room with wings.. and a second larger black and white image. Enlarging the winged image, I cut out the wings and put them on a layer behind the black n white pic. Much smudging and cursing later and i got it looking reasonable. I smudged the black n white pic and colorized the skin and jewellry. The hair was done on a seperate layer and turned out not bad although it is still a bit smudgy at the ends. The pic at the background is Stirling Castle. The logo font is Federation. Just a quickie really. 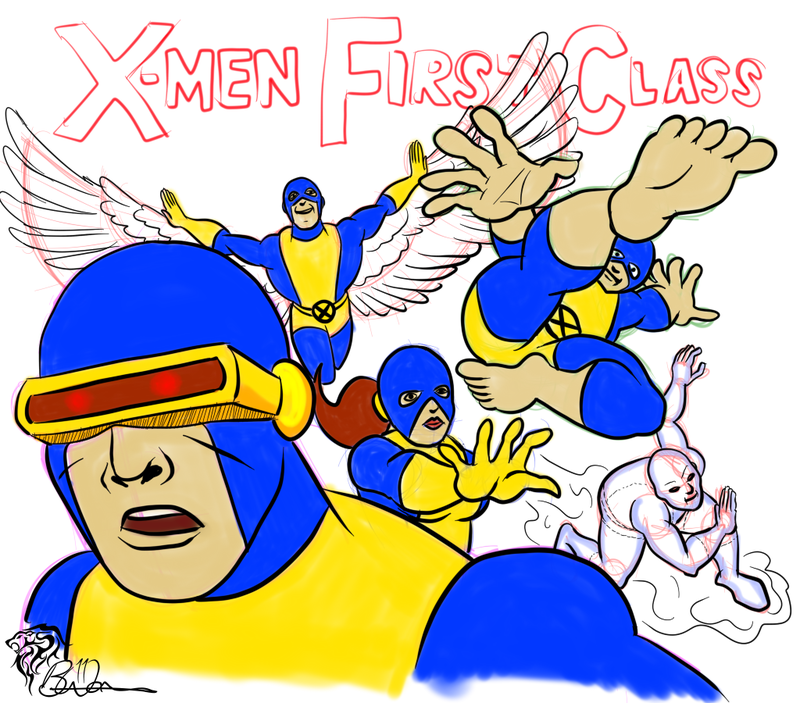 After i submitted the Beast pic, I figured I could do the same to classic Angel. Again it was a bust on a rock, found a matching background (The eagle eyed among you may recognise it from an early hulk manip i did). A bit of cutting n blending and a few filters and i had a painty pic. i added the heads up display as though a Sentinel was targeting him – hence the title. 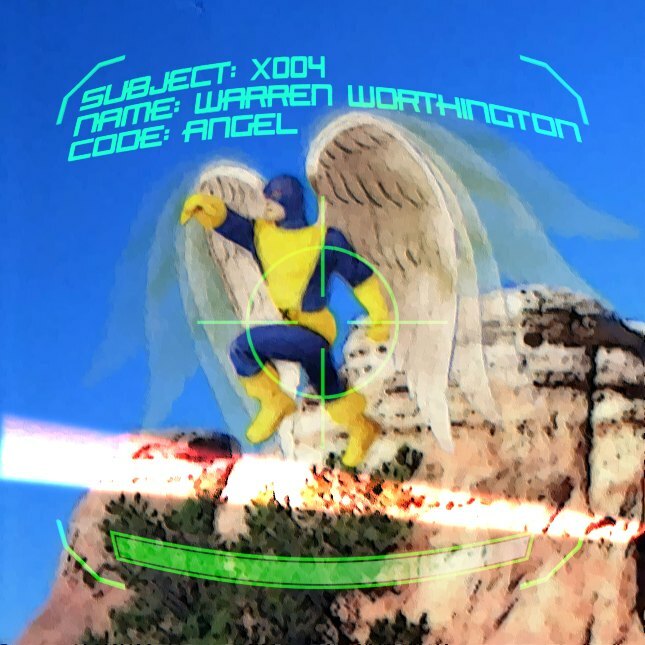 The red ‘beam’ through the pic is Cyclops clearing a path through the Sentinel for Angel.